By choosing to visit Belarus and searching the net looking for an accommodation you may encounter various options. The most popular searches and results though are quite pricey hotel rooms or a rented flat but what if you are a kind of tourist who prefers spending the day outside exploring the city and doing sightseeing, trying the dishes from the national cuisine in cafes and restaurants and doesn’t see the need in luxurious apartments? 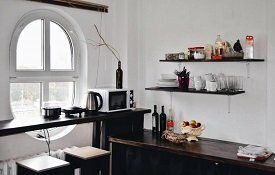 Here’s a good piece of news for minimalist style lovers — you can choose any of the hostels in Belarus to stay in. If you’re travelling with a couple of friends and don’t mind sharing a room, thus saving a quite substantial sum of money, accommodating yourselves in a hostel may sound like a perfect idea. Hostels in Minsk are numerous and are principally located in the centre of the city allowing visitors to travel to the sights on foot. The kitchen in these establishments are shared which may result in the biggest advantage as you will be able to reproduce the dish you’ve tried in the city and enjoy both the process and the result while still staying in the country. Besides, if something goes wrong during your cooking you can always ask for a helping hand of the hostel staff or your neighbours. Friendly atmosphere won’t leave you indifferent as hospitable multilanguage and intercultural environment makes the stay unforgettable. 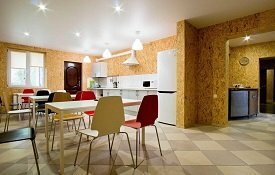 Services provided in hostels in Minsk include free Wi-Fi, lockers, luggage storage, fully equipped kitchen and room service. Bathrooms are not shared and located in the rooms. The rooms also vary depending on the number of guests they can accommodate. 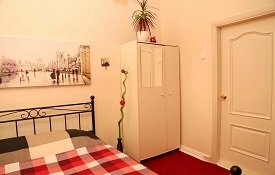 Apart from being a budget version of accommodation, hostels usually give discounts for those who choose to stay there for quite a long period of time. Besides, security measures are given top priority in hostels in Belarus just like anywhere else in the country. By opting for staying in one of the hostels in Minsk listed above you can be sure that your time in Belarus won’t be spent in vain as you’ll plunge into the city, culture, history and make new friends who also value simplicity, open-mindness and warm-heartedness.